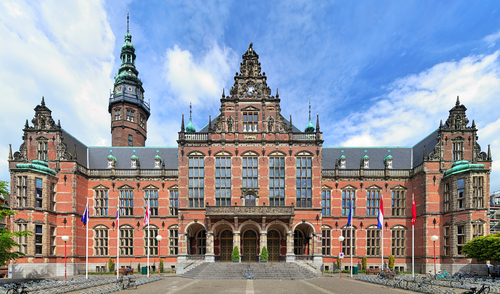 Groningen University’s slogan ‘Born leaders reach for infinity’ has been voted most stupid university catch phrase in the country in an online poll. The poll was organised by a website set up by academics and students with the aim of improving higher education in the Netherlands. Amsterdam University’s ‘We are U’ was second on the list, followed by Leiden’s Excelleren in Vrijheid (excel in freedom). More than 3,200 people took part in the vote. The platform which organised the competition says the use of slogans shows how ‘pointless advertising’ and branding is helping turn universities into economic units. ‘They are based on a vision of a university as a company that needs to be placed in the market, and that leads to money-wasting competition between them,’ the organisation said. The website team is now investigating the cost of the campaigns.